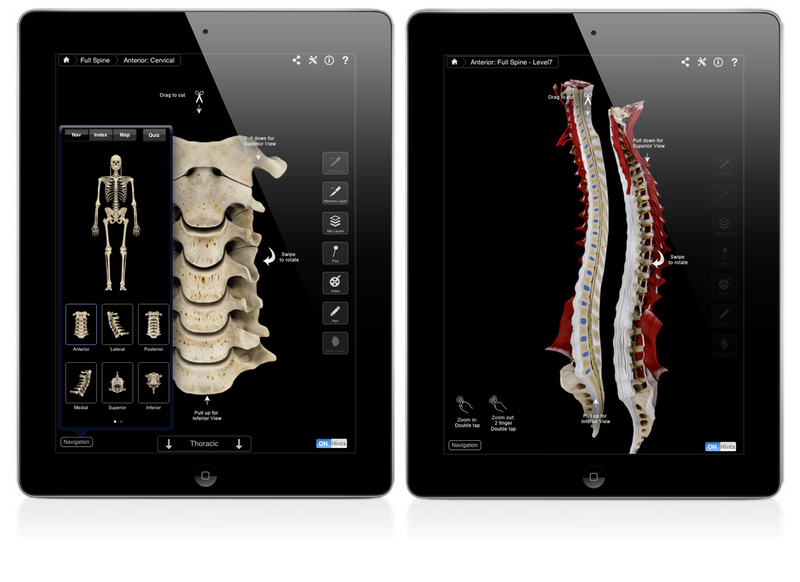 Spine Pro III allows users to cut, zoom & rotate the spine for an in-depth look at it’s anatomy. 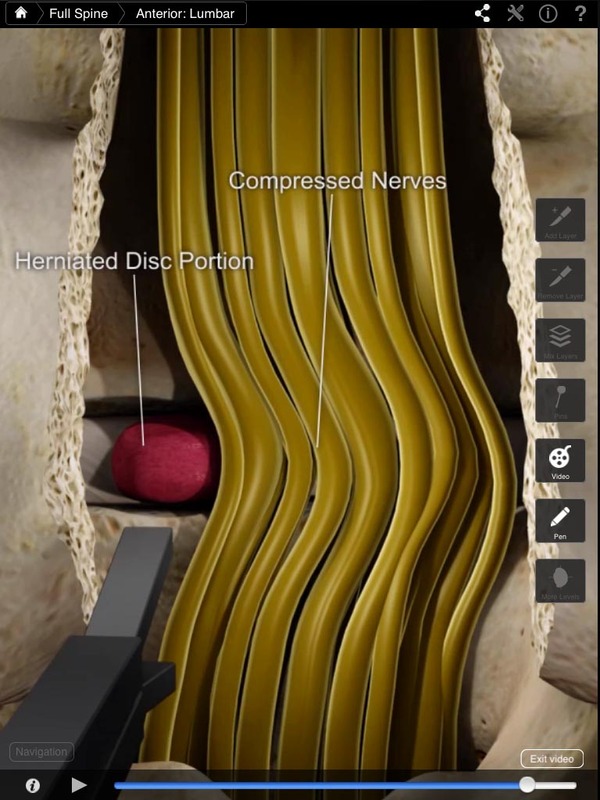 Spine Pro III’s scalpel tool provides the ability to cut away different layers to reveal blood vessels, nerves, connective tissue, ligaments and three layers of muscle. 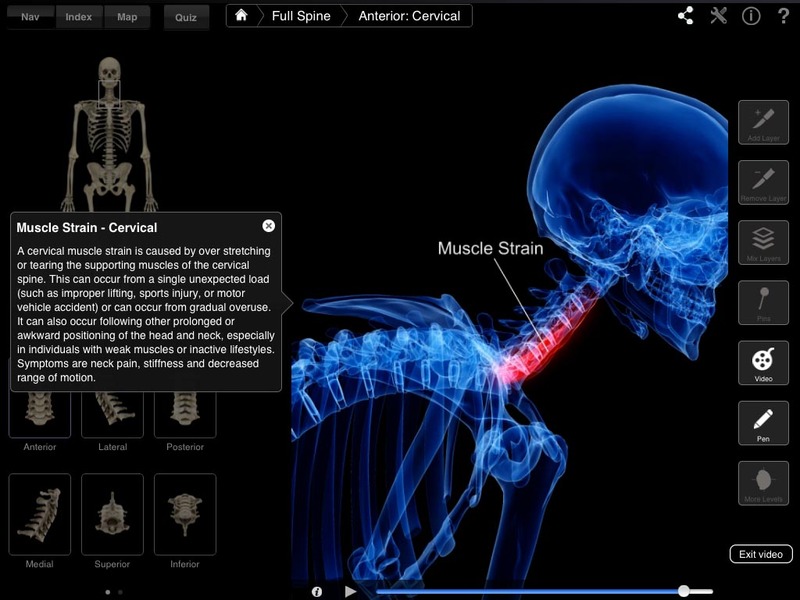 It also offers views of each individual vertebra and includes images isolating elements of the spine, audio pronunciations and animations detailing major spine disease states and injuries/treatments. 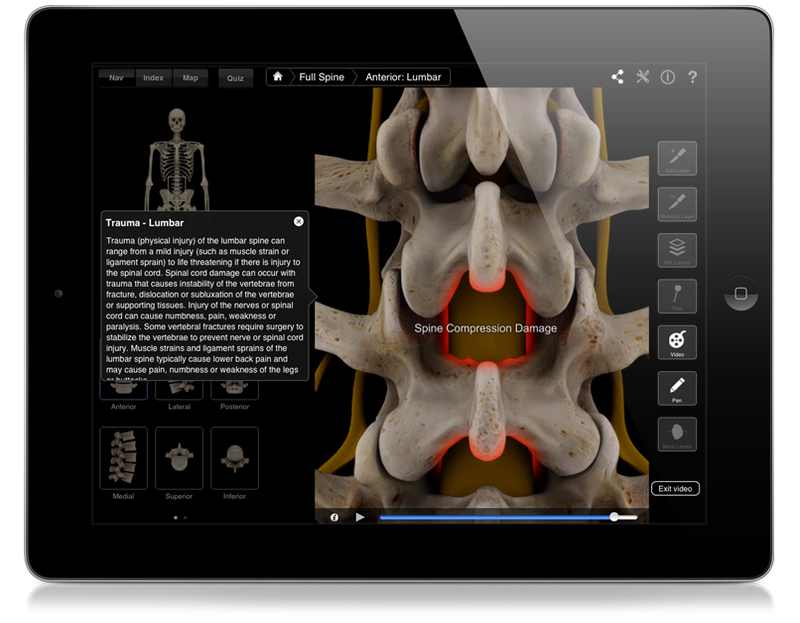 It is ideally suited for chiropractors, physical therapists, physicians and educators to explain spine conditions, ailments, injuries, and treatments to patients and/or students. 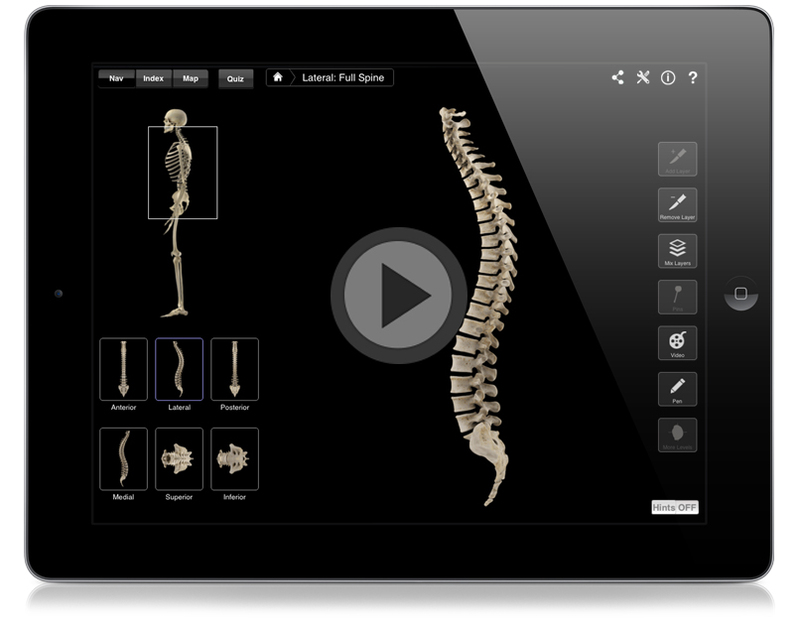 The Spine can be fully rotated with a quick swipe, users can also zoom in and out of the Spine. 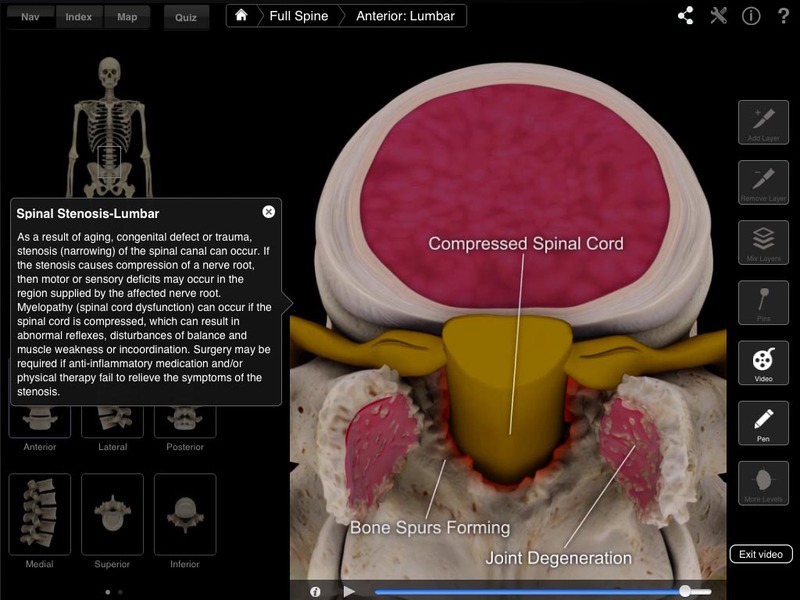 And rather than just the standard anatomical views, you can now observe the location of the Spine and its components from different angles such as inferior and superior views. 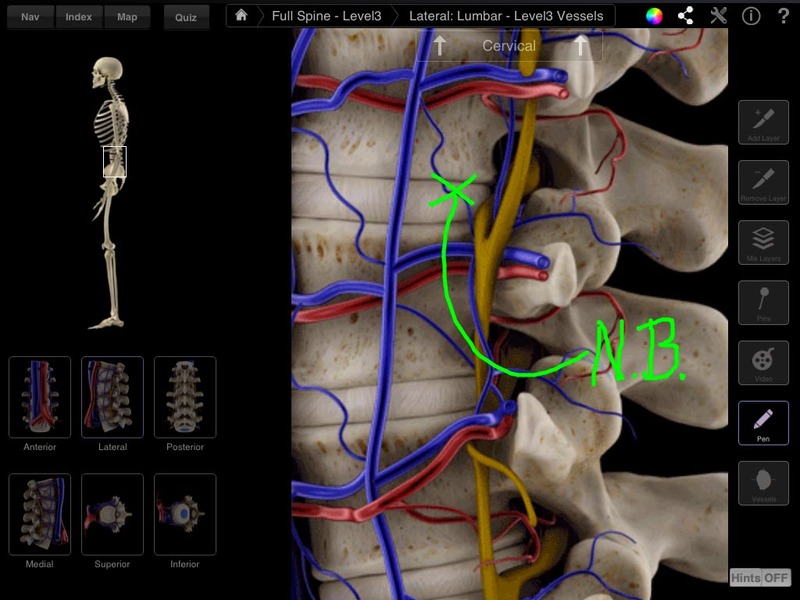 Users can also slice the spine for transverse views of the spine and it’s areas (Cervical, Thoracic, Lumbar and Sacrum). 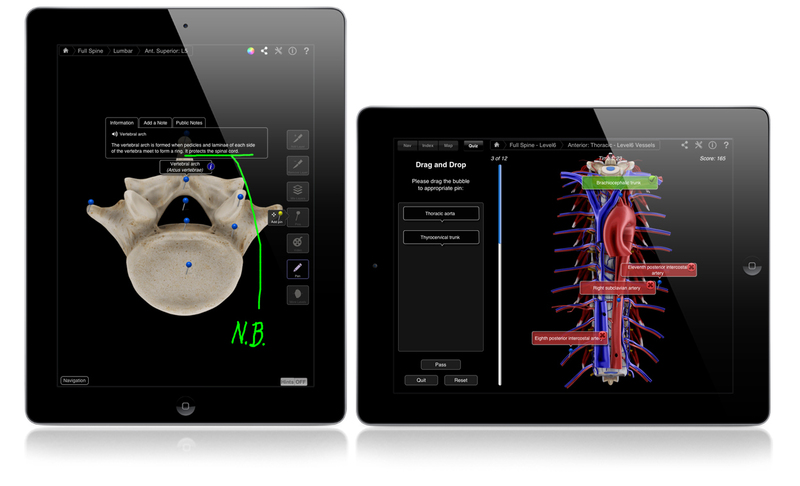 And cross section views show all nervous, vascular and skeletal systems with detailed information at the touch of a pin. Users can add and remove layers using the scalpel tool. And the ‘mix layers’ button can make one layer semitransparent, which is useful when comparing one layer against another layer. 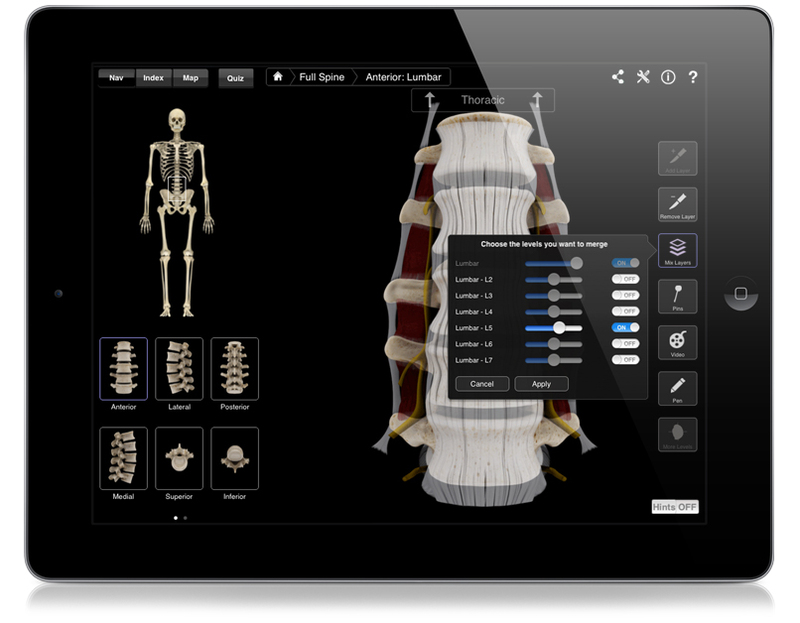 This app also includes alternative layers / maps which detail vessels and insertion and origin points. By pressing the index button the user is offered an index of the pins available. If a pin name is selected the app will take the user to that pin and label it or a user can simply press the pin button on the toolbar and it will show all the pins available on the current screen. On selecting the pin the user can view detailed information and add notes as well as create custom pins! The app can be further customized by using the settings button to turn on and off individual pins.